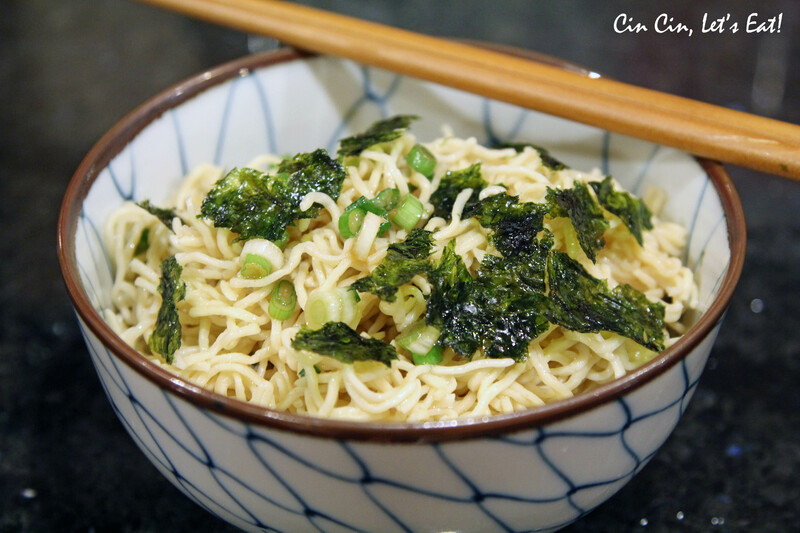 Momofuku’s Ginger Scallion Noodles [recipe] – Cin Cin, Let's Eat! So what to do with all those leftover ramen noodles? 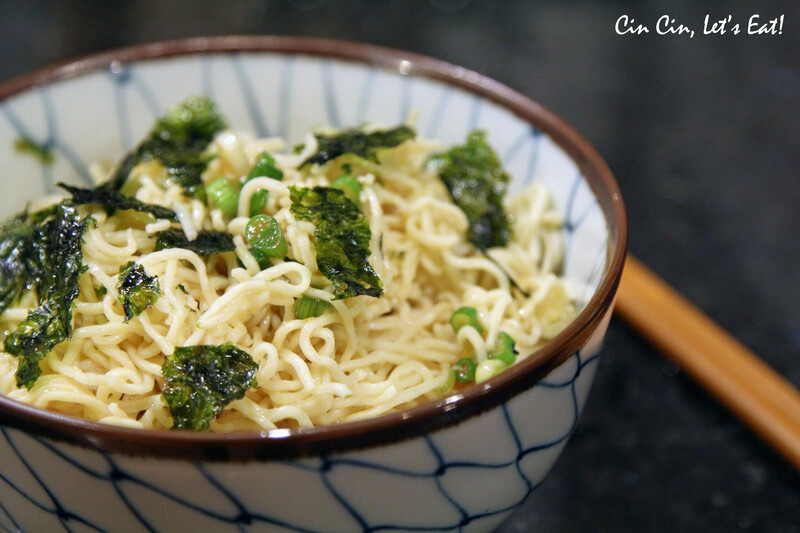 Make some awesome ginger scallion sauce and pour over some hot noodles! Quoting David Chang of Momofuku “If you have ginger scallion sauce in the fridge, you will never go hungry.” You can use the sauce on any kind of hot noodles or even on a bowl of hot rice. I got home late last night but was in a hurry to leave again, it only took 15 minutes to mixed the sauce, heat up the leftover noodles, toss them together, scarfed it all down and I was out the door again. If I had more time, it would’ve great to top the noodles with a sunny side up fried egg. Oh, the simple pleasures in life. Boil 6 ounces of ramen noodles, drain, toss with 6 tablespoons ginger scallion sauce; top the bowl with 1⁄4 cup each of bamboo shoots; Quick-pickled cucumbers; pan-roasted cauliflower (a little oil in a hot wide pan, 8 or so minutes over high heat, stirring occasionally, until the florets are dotted with brown and tender all the way through; season with salt); a pile of sliced scallions; and a sheet of toasted nori. I highly suggest topping the noodles with nori (toasted seaweed), the combination of flavor was fabulous. Besides that, the options are endless. As mentioned in the recipe, bamboo shoots, roasted cauliflower florets, and pickled cucumbers are great with this. You can also try marinated grilled firm tofu, miso glazed pork or chicken, stir-fried vegetables…etc. Don’t forget an egg with runny yolk. I have some packets of shirataki noodles i’ll try your recipe in weekends! Always good to have a staple quick fix meal! Thanks!! TV. 700+ channels updated daily. Free from Google Play Store.